Healthcare organizations are often challenged to improve the quality of care while lowering costs in their serving lines. Service line management (SLM) is key when your organization is working towards this goal. A strong service line executive will be able to come in, assess the current situation, set goals and ways to measure them in order to streamline processes and have a positive effect in a patient’s experience and overall satisfaction. An effective service line executive will be able to reduce costs, cut down on the length of patients stays, and significantly lower complication rates. When he or she achieves these goals, the resulting value can be passed onto patients making the organization more competitive on price. Improving a service line is a daunting undertaking. There needs to be a decisive commitment to improving service line delivery to patients as well as operational structures and a large enough patient influx to support the time and money investment. When you engage a service line leader, his or her objective should be to improve the patient’s experience not just during a process, but over the entire time they are in your care. They should aim to improve the flow of patient access and ease the navigation of the system making the overall experience better, and in turn; building loyalty to the organization so that when the need arises, they choose your organization over your competition. 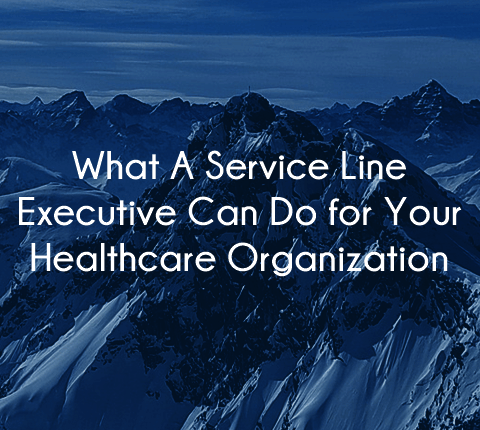 This means that the service line executive must coordinate between multiple departments to ensure a smooth transition from one to another as the patient moves through his or her healthcare journey. This is a completely different role from other types of healthcare leaders who normally optimize performance within a single department. As such, a service line manager must understand the inner workings and challenges of each department and be able to bridge difficulties between these departments in order to yield a seamless experience. A service line manager will work on breaking down silos to build a culture of collaboration and shared processes that ultimately result in better care and a better experience for patients. He or she will make it so that resources can be put into a matrix that is managed by the service line manager. This is no easy task since departments are normally accustomed to being accountable to their line manager, and now they need to also be accountable to the service line. Your service line leader will need to set up structures so that each department’s culture can more easily adapt to this change and so they are able to have the right operations set up to support the new goals of the service line, not just their department. He or she will have to set up systems for this in regards to finances, budgets, reports, evaluations, management, team education and more. In short, the service line manager will have to reconcile both assets and information throughout various departments that may be outside the range of his or her direct jurisdiction. This requires business, managerial, and political skills. The service line leader must be able to create a mission statement that can be embraced by all departments involved. It must be clearly defined, focused on the quality of patient care, measurable and achievable. When crafting this mission statement, the service line leader must keep in mind the patient population, the cares and services involved, the cost involved in providing care, and the cost to the patients who require the care. As you can see, it takes more than skills and certifications to make a strong service line executive. It takes a certain personality for a service line leader to succeed in bringing departments together, managing costs and improving the overall experience for the patient. If you think a service line manager or leader could be the right fit for your organization, we can help. Summit Talent Group is one of the leading executive search firms in the US. We are a boutique firm that specializes in the healthcare industry. As a boutique executive search firm, our team works a small number of engagements. As such you can be assured that you will receive personalized attention from start to finish. 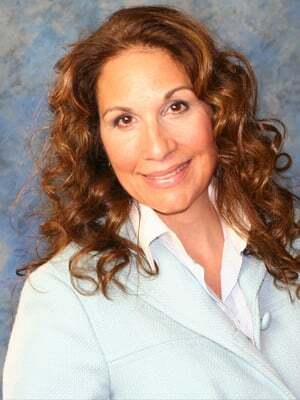 Our team has extensive experience in the industry and we focus only on health care. We understand your challenges, we understand the industry, and we can recognize when talent is more than a match for skills, but also a match in culture. This is the Summit Talent Group difference. If you think a service line leader is just the thing to take your healthcare organization to the next level, contact us. We can discuss your organization, your goals, and your needs to come up with a plan to get the right service line leader to your organization.